Can your next vacation help conserve endangered species? In an age where social media creates an unparalleled hyper-awareness of the world around us, it has become impossible to ignore the effects that we are having on the planet that we call home. Many of us strive to reduce our carbon footprint in our day-to-day lives, but it can be precarious to maintain a green-lifestyle when traveling abroad. What if there was a way? For those of us who love travel and support the green movement, one of the most meaningful ways we can help influence change is with our power as consumers. By booking accommodations that strive for green solutions and responsible eco-tourism, you help empower properties to choose progressive practices and attitudes. These are our top 5 picks for African properties with the strongest commitment to conservation. 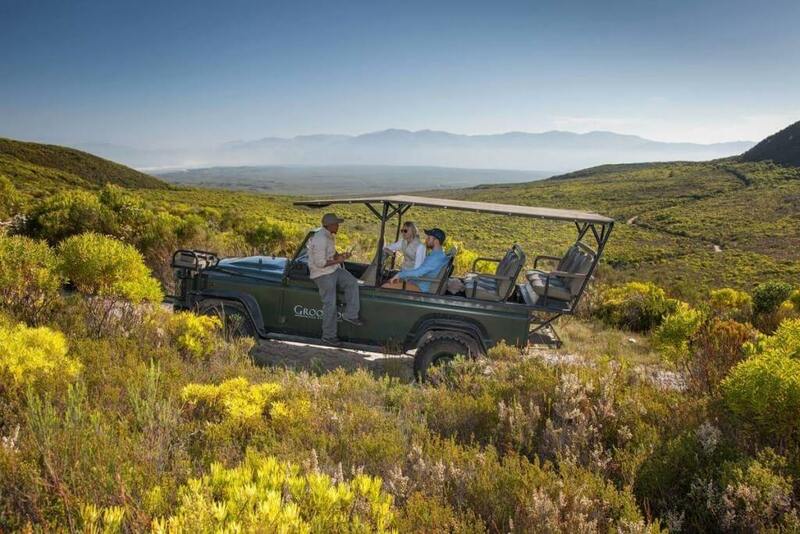 Set atop the fynbos slopes overlooking Walker Bay, Grootbos Private Nature Reserve is a 6,000-acre family owned reserve offering guests a truly one-of-a-kind experience. Whether you spend your days enjoying the fragrant smell of the fynbos, whale-watching, learning about pollination, or savoring the organic food grown on site, each stay at Grootbos is sure to impart guests with a sense of enlightenment. Having won many eco-tourism awards (including the Responsible Tourism Award: Best for Conservation of an Endangered Species), Grootbos is always innovating and adopting new ways of preserving their unique environment while empowering local people. Simply by staying at Grootbos, you’re helping uplift local people and their families by supporting small businesses. Featuring over 250,000-acres of spectacular grasslands and mountains, Tswalu Kalahari is South Africa’s largest private game reserve. When the Oppenheimer family acquired the former hunting property in 1998, they turned it into a wildlife reserve overnight. Researchers were invited in, and breeding programs were established to help restore populations of some of the most endangered species, such as the roan and sable antelope. Serving as a true model for ecotourism, the family was able to invest their profits into acquiring adjacent properties and continuing with their mission of conserving the unique Kalahari environment. Tswalu’s three main goals are to restore the natural environment, to re-establish and protect biological diversity, and to maintain the natural ecological processes characteristic of the Kalahari. 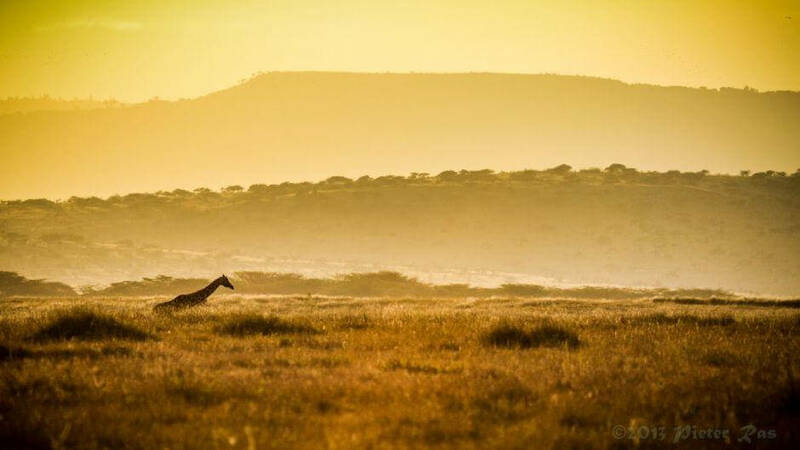 For the environmentally conscience traveler, it doesn’t get much better than Tswalu. 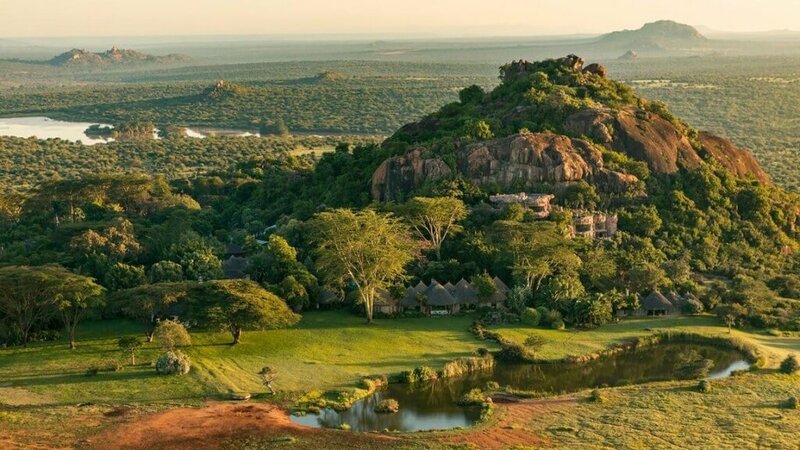 Situated within the 65,000-acre Lewa Wildlife Conservancy on the sprawling Laikipia plains, this property boasts some of the most spectacular wildlife viewing opportunities that Kenya has to offer. This conservancy is hugely popular with conservationists, celebrities, artists, and was the backdrop of the most recent Royal engagement. Lewa Safari Camp has been awarded the Gold-level Eco-Rating Certificate by Ecotourism Kenya in recognition of its environmental responsibility and support and integration of local communities. Visitors can feel good knowing that all camp profits and conservancy fees are reinvested directly into conservation and the local community. The camp boasts solar water heating, efficient power generators, environmentally-conscience waste disposal, and fuel-efficient vehicles. Established over 60 years ago, and set in 58,000-acres of land, Ol Jogi is a true safe-haven for the wildlife that calls this area home. Ol Jogi is exclusive to its guests, allowing you to fully be present in your experience without the adulteration and crowding of other vehicles and tourists. Ol Jogi is unique in that it has its own on-site rehabilitation facility for orphaned and injured animals, and it employs over 100 anti-poaching rangers – including a canine unit! Ol Jogi is a premier property that offers world class luxury, exclusivity, and instills each guest with the fulfillment of giving back to the community, making it one of our top recommended properties for the environmentally conscience. 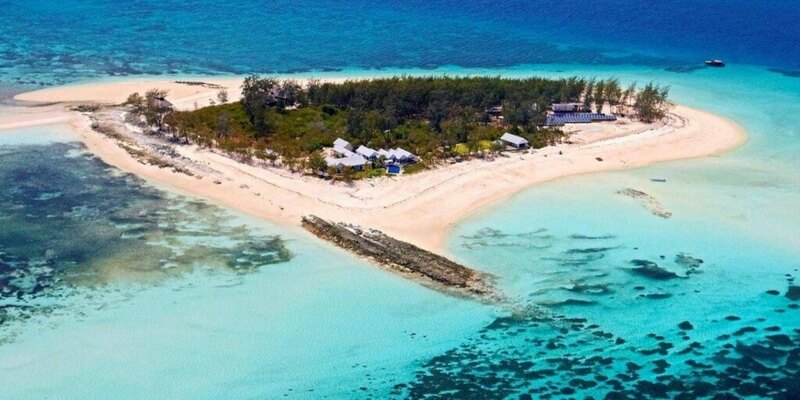 If you and 10 of your best friends are on the market for an exotic beach vacation, this exclusive, private island off the coast of Tanzania is absolute paradise. Situated in its own marine reserve, Thanda offers you the opportunity to rest, rejuvenate, and explore at your own pace. Endangered sea turtles nest on Thanda’s white sand beaches, and the turquoise waters surrounding this paradise are home to the gentlest giant of the ocean, the whale shark. The luxury villa offers five suites, each leading directly onto the pristine beach, and you get full use of all of the many amenities during your stay. This includes jet skis, kayaks, fishing boats, snorkel/dive equipment, and tennis courts, just to name a few. Boasting programs committed to conserving sea turtles, dugongs, dolphins, and whale sharks, Thanda is a stand-out leader when it comes to marine conservation in Africa. Their team has partnered with Tanzanian Marine Parks, and Sea Sense to help develop conservation and education programs in the surrounding region. With the earth-conscious traveler in mind, Thanda is powered by solar energy, and all of the water comes from an on-site desalination plant.